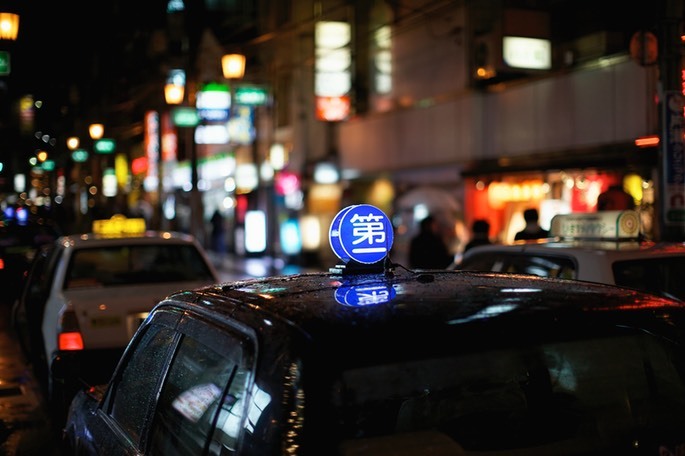 Kagoshima is a moderately famous Japanese city at the southern end of the island of Kyushu. 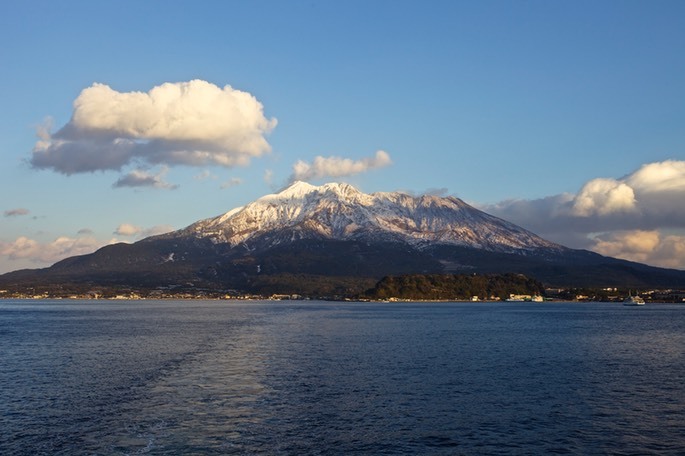 Originally famous for the Sakurajima volcano and the Satsuma family that ruled it. Recently it has become famous via Hollywood - as the main plot of the movie "The Last Samurai" revolves around the civil war against the Satsuma clan headed by Saigo - the last samurai of fiction. Actually many of the core facts of the movie are quite true - the main Hollywood component being Tom Cruise (or indeed any westerner) leading the war for the the "rebels". I sugegst anyone interested should read the book on Saigo entitled (scarily) "The Last Samurai". It is far more historically accurate than the film - which is very entertaining, but complete rubbish. 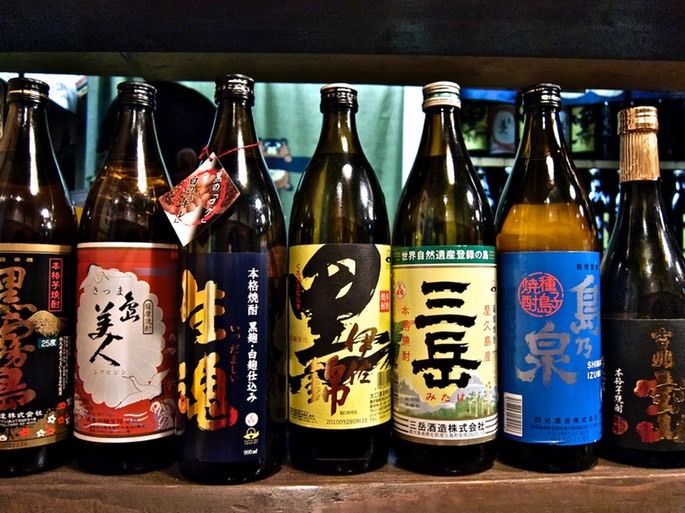 I went to Kagoshima for a number of reasons - not the least of which was to try Shochu, the "vodka relative" that is a staple drink of the region, and almost all of Japan. 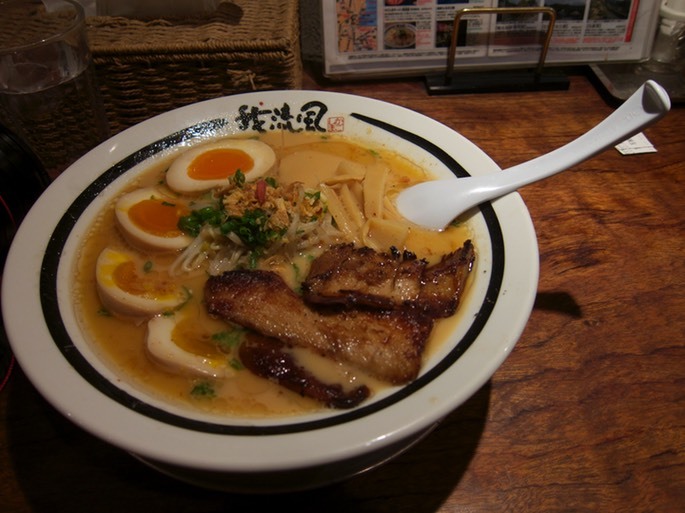 I also wanted to try the famous "black pork" in Kagoshima - as I am a great fan of Kyushu style Japanese food. It turned out to be a an interesting trip. 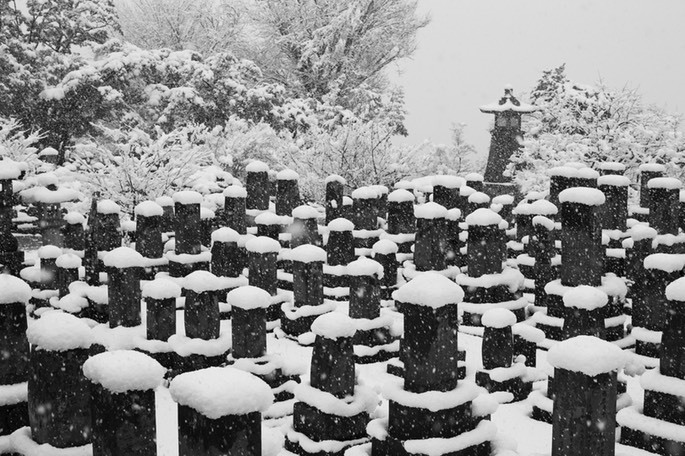 The day after we arrived was the biggest snowstorm in living memory for the city, which pretty much stopped everything, except for the bus that took us to the graveyard for the Samurai from the Satsuma rebellion - and beautiful it was. 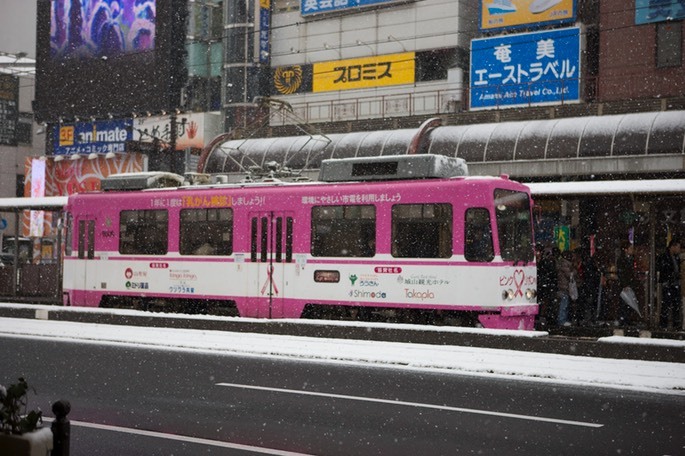 Kagoshima has a small (and Pink) tram system to get around the tiny main centre of the city. The snow was just really getting into its stride at this point. 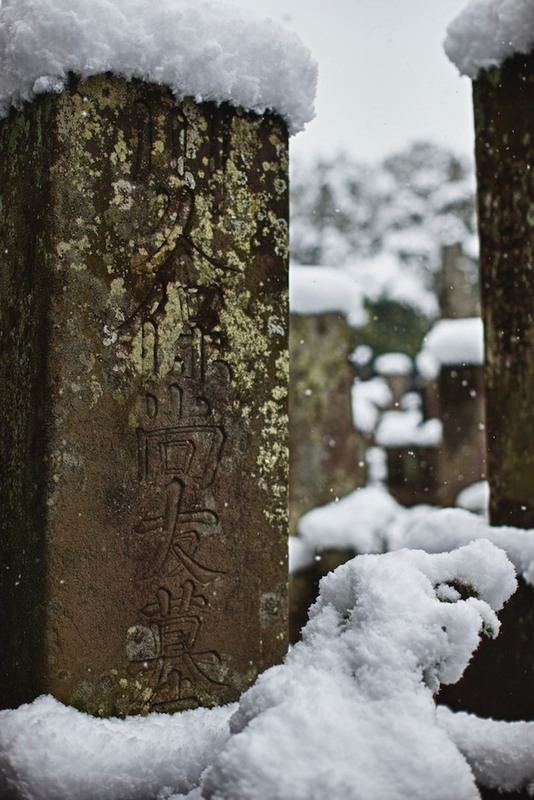 Photo by Canon EOS1Ds Mark III. 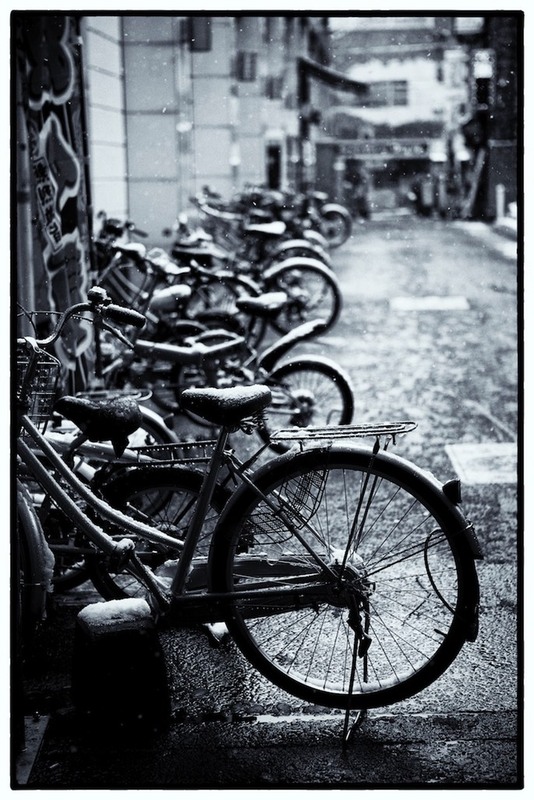 Many cold bicycles. Photo by Canon EOS1Ds Mark III. 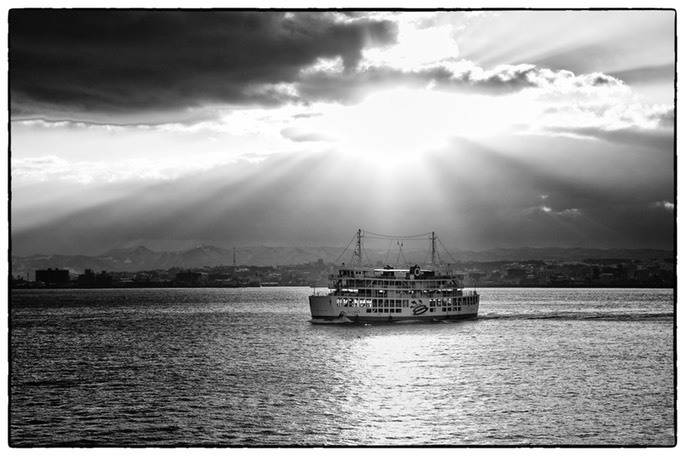 The ferry to Sakurajima. Photo by Canon EOS 5D Mark II. Sakurajima itself, only 1.5 kilometres from the city centre. It is also very much active with almost constant eruptions. Photo with Canon EOS 5D Mark II. 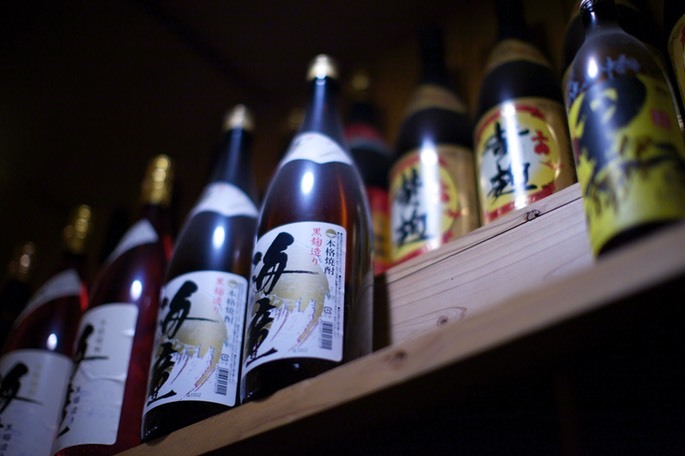 Shochu - Canon Powershot S90.